Hello Friends, you know I am a blue and white type of gal… and I am also infatuated with history. 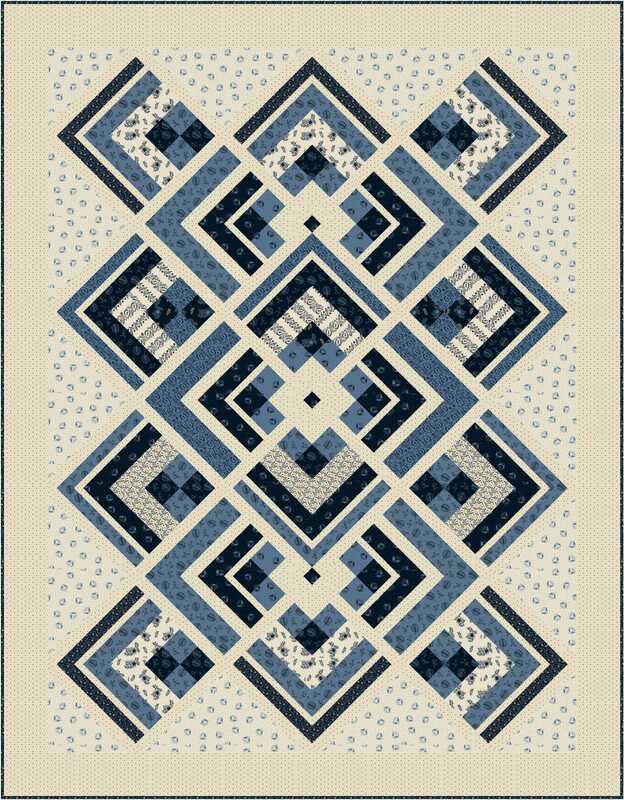 So, it was doubly thrilling for me to be assigned to work with Mary Koval’s new fabric line for Windham Fabrics, Rhapsody in Blue! Click here to view the collection! 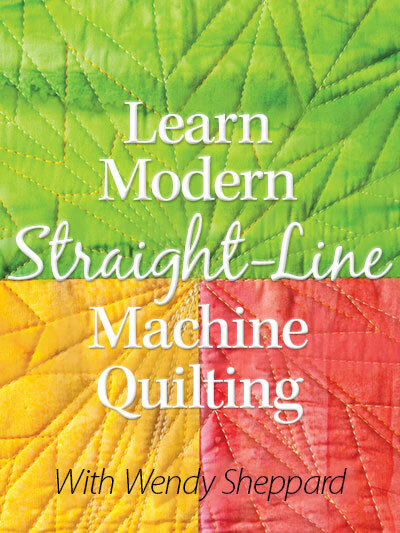 If you like reproduction fabrics… you owe it to yourself to check these fabrics out. 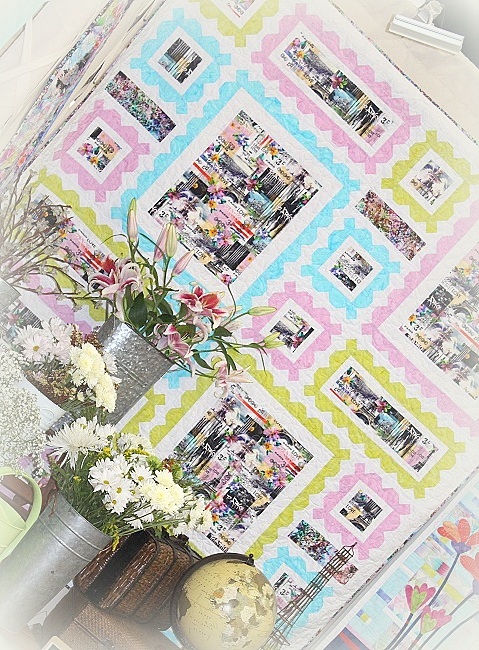 I am totally in love with these fabrics! 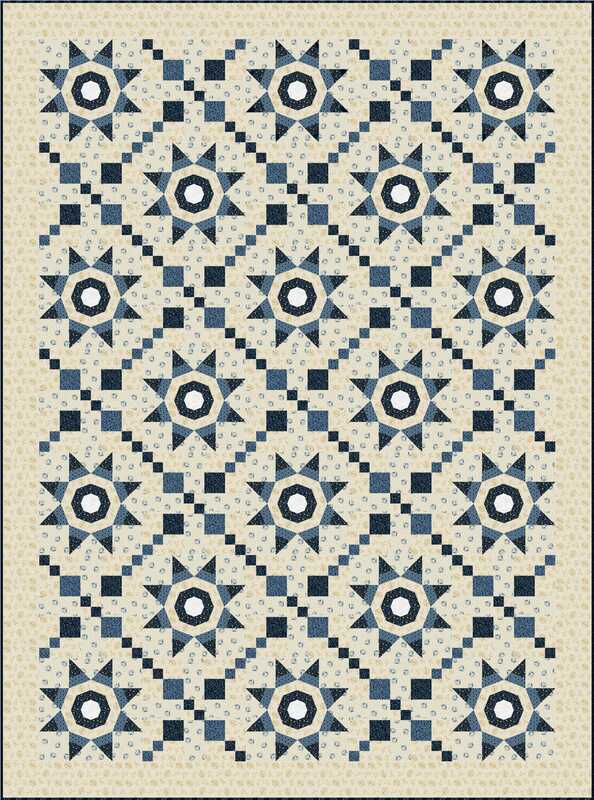 You may download the free-to-use pattern here. 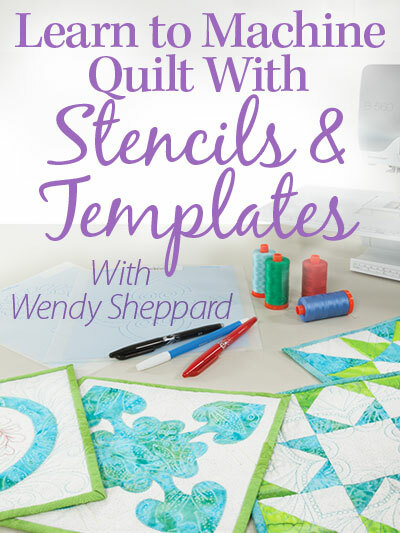 You may purchase quilt kits here, and here. 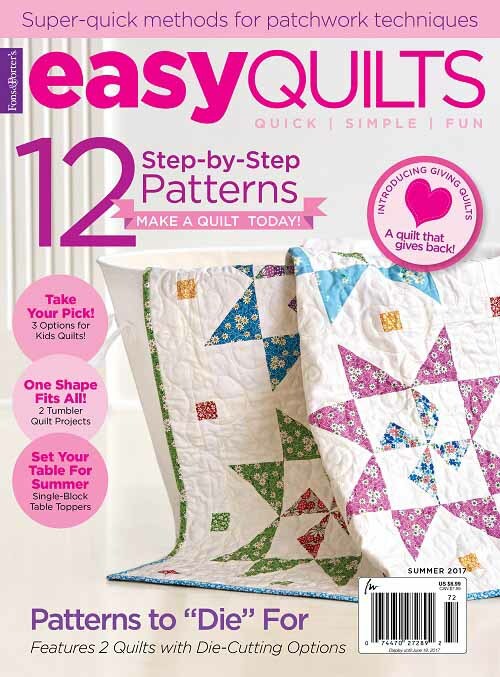 You may purchase quilt kits here and here. You may purchase the kit here. So, curious mind would like to know which is your favorite out of the 5 designs shown above? Thanks so much for stopping by. I am still in pre-Market mode, and I leave in about a week. So, I’d better get back to work. I will be sharing Market peeks before I leave town. 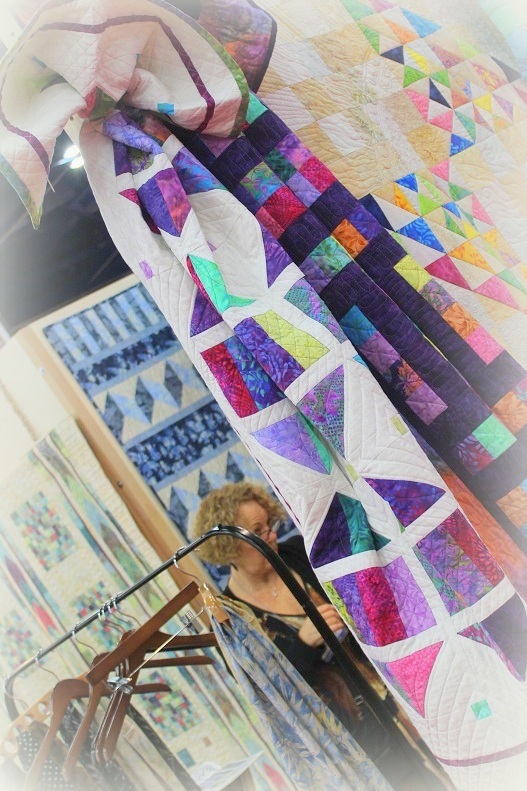 Hello Friends, I am going to share with you sightings of the extension of yours truly (aka quilts made from my designs) at Market this year. 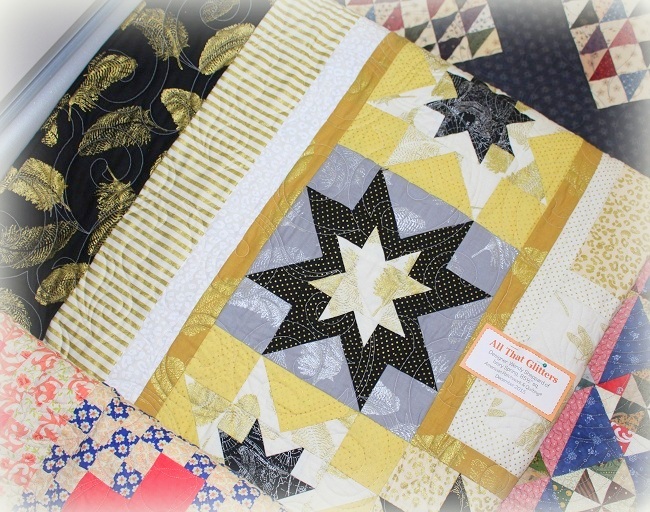 Seeing the quilts at Market made me forget all the all nighters I have pulled this year! 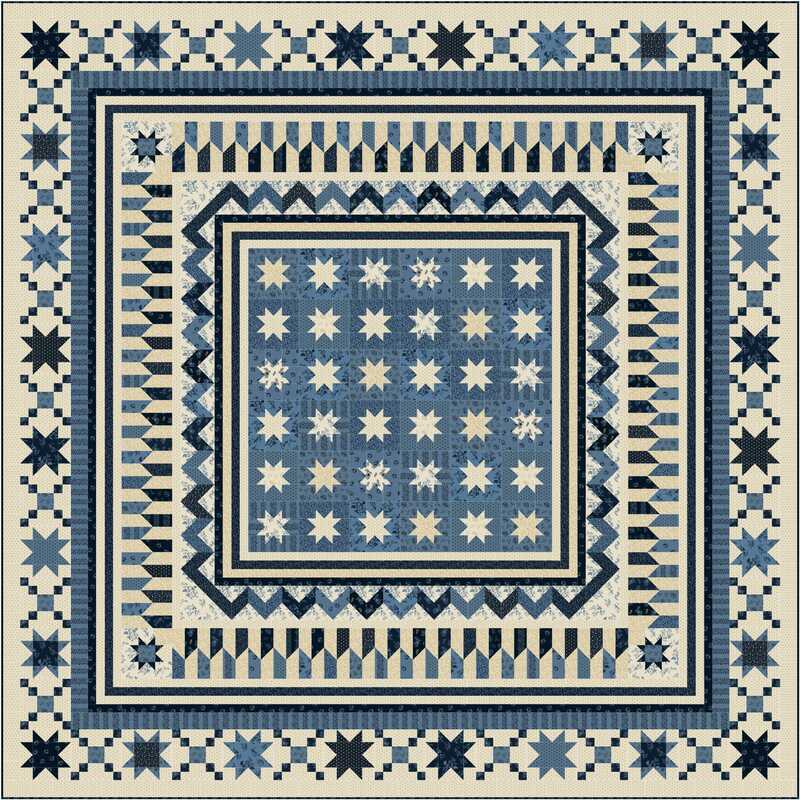 One of the highlights for me this year has been the opportunity to design with a reproduction line by Mary Koval for Windham, Postage Stamp. 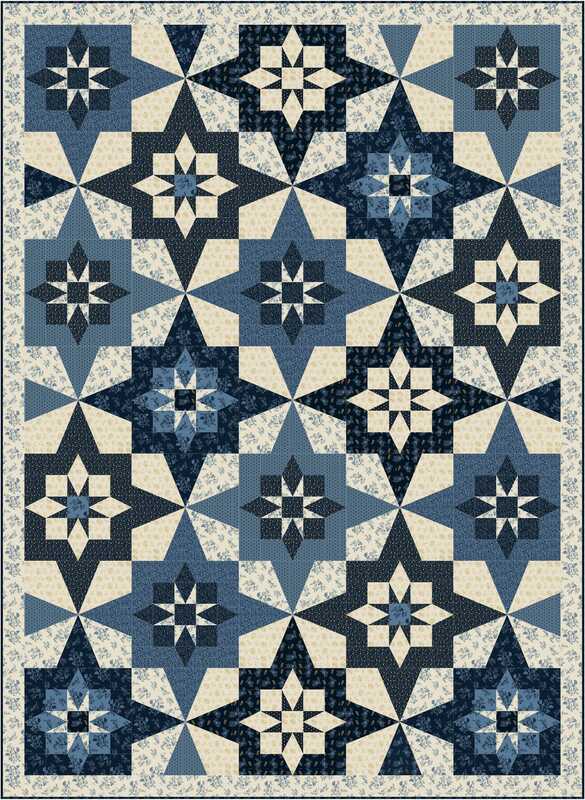 I met the Mary Koval, and felt gratified knowing that Mrs. Koval approved of the designs I did using her fabric line (click here to find out more)! 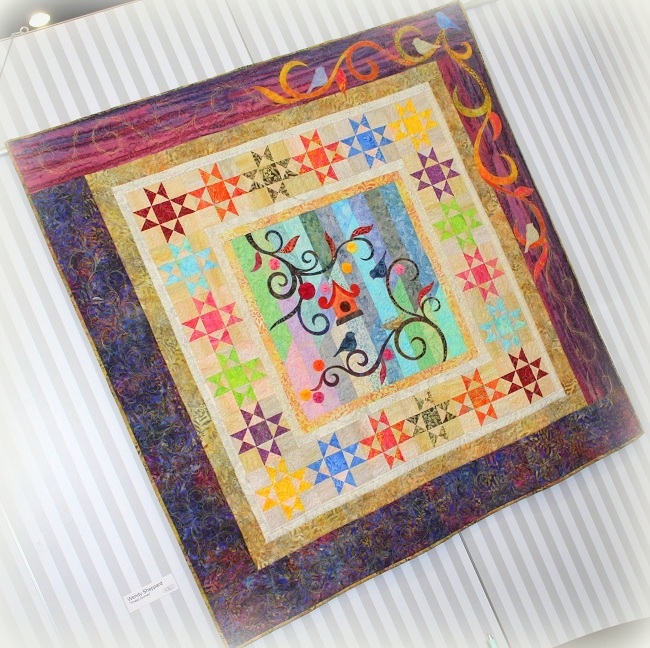 This Sundials Quilt is one of four designs I did using Postage Stamp, and was displayed at Windham’s booth. 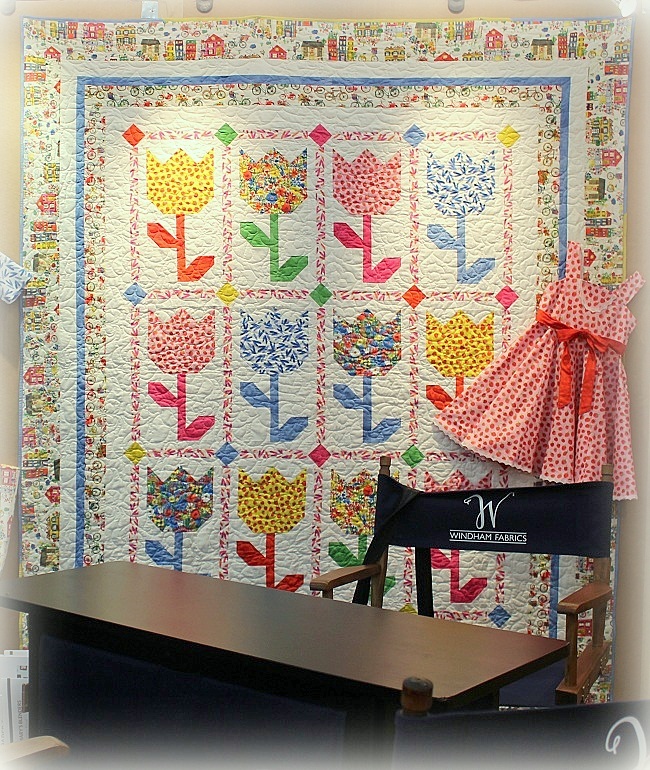 Also at another end of Windham’s booth, this Tulip Quilt using Flower Pedals (click here for more details) was also displayed. There is also a look book here. 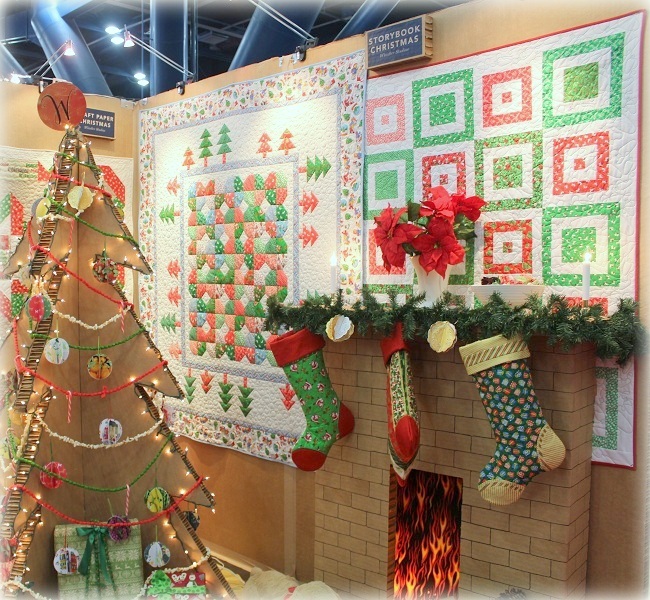 Additionally, two of my Christmas designs using Windham’s Storybook Christmas (click here for more details) were displayed at Windham’s Christmas room. Congrats to Windham for winning 1st Place Single Booth with their Christmas booth. 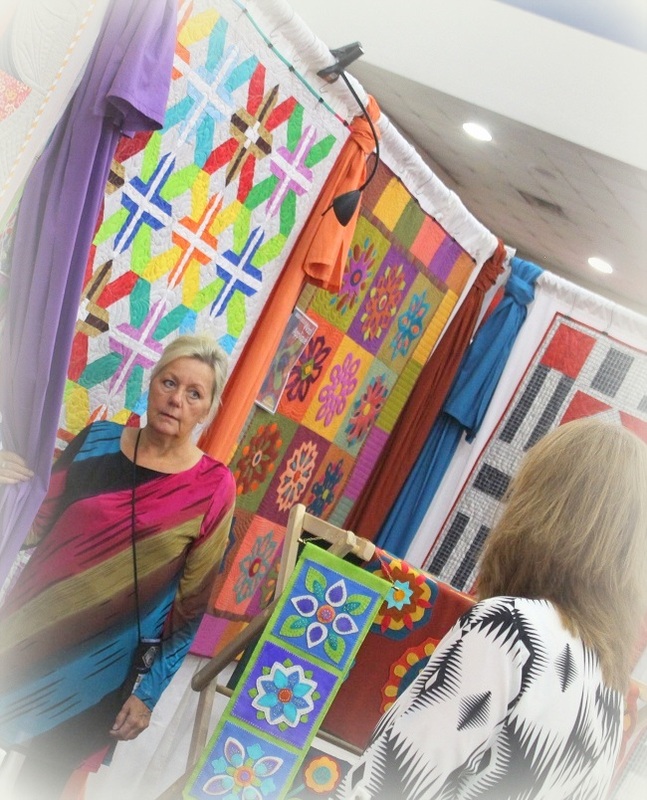 Then, I saw a fun lap quilt I design for Island Batik, at their booth, using their Desert Rose line (click here for more details) bunched up and hung — the one in the foreground. 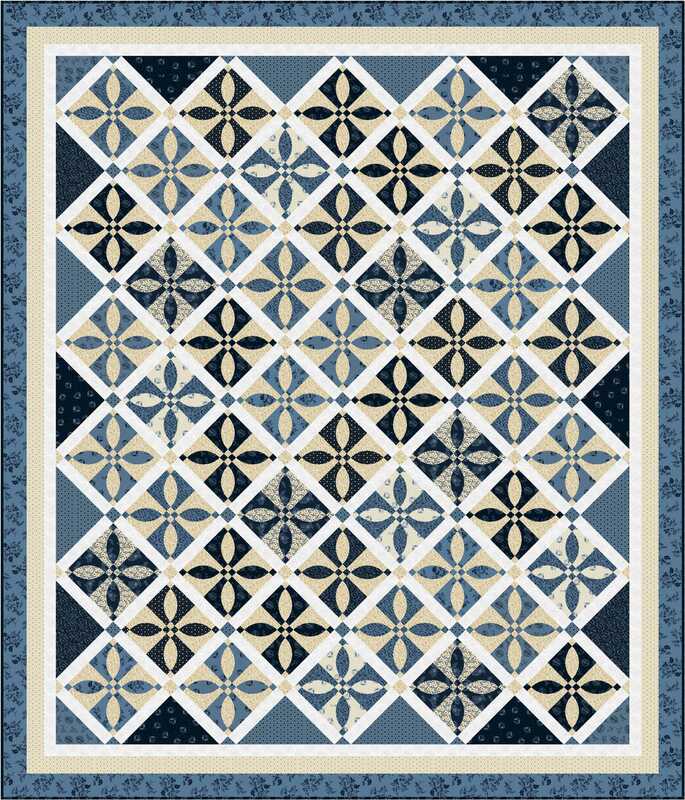 Hoffman Fabrics displayed a quilt I designed using their Wish You Were Here line (click here for more details). 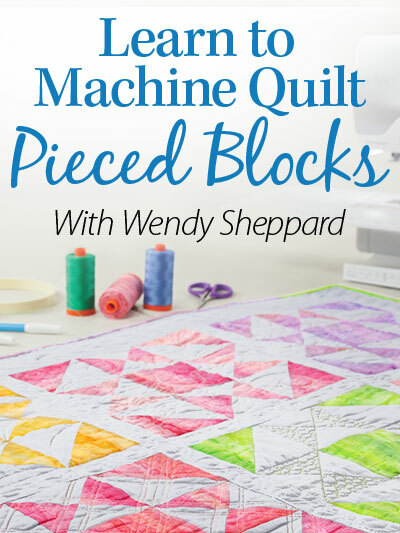 The blocks were meant to look like postage stamps. 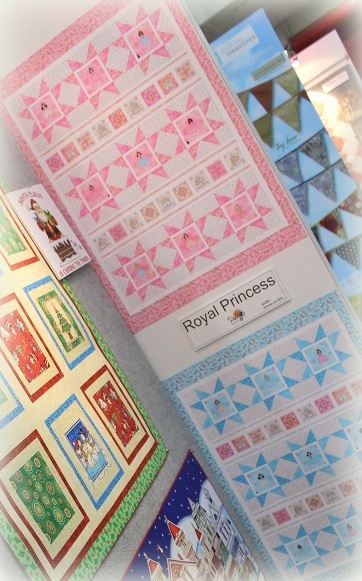 I also had designs at Quilting Treasures‘ booth featuring their upcoming lines Royal Princess, Woodland Wonder, Charleston. 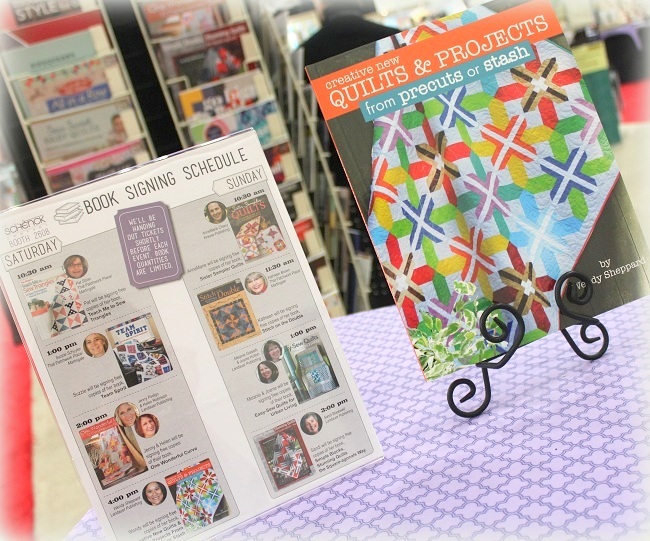 The cover quilt of my book Creative New Quilts and Projects at Landauer’s booth. 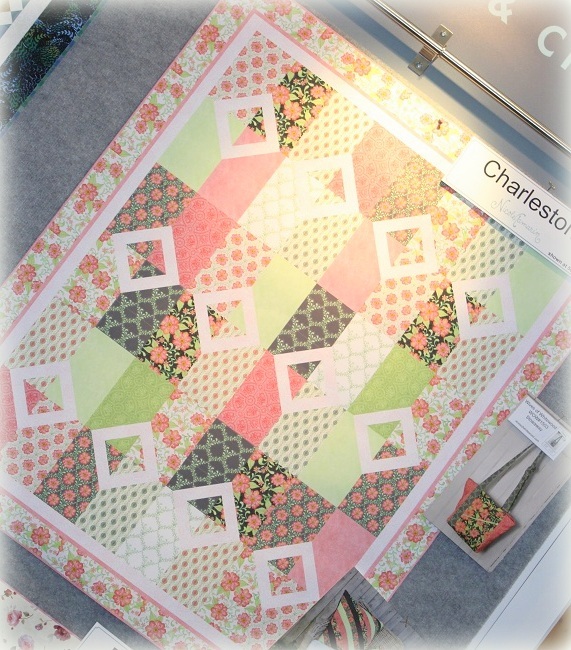 My All That Glitters quilt that is featured in the latest issue of American Patchwork & Quilting also made an appearance at their booth. 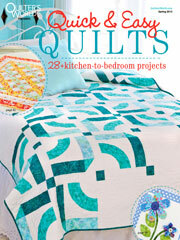 More about the quilt is forthcoming. 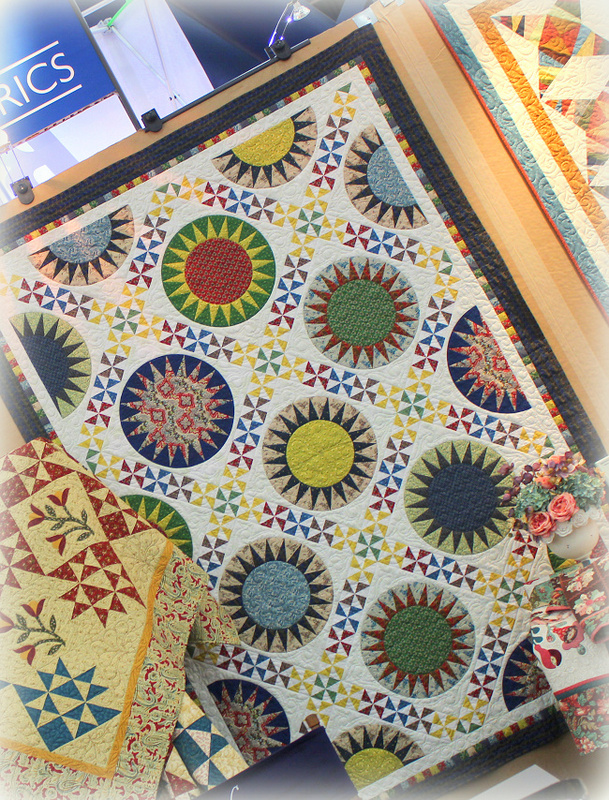 And just for the sake of completion, my Thread Journey quilt was displayed at Aurifil’s booth. More pictures are found here. 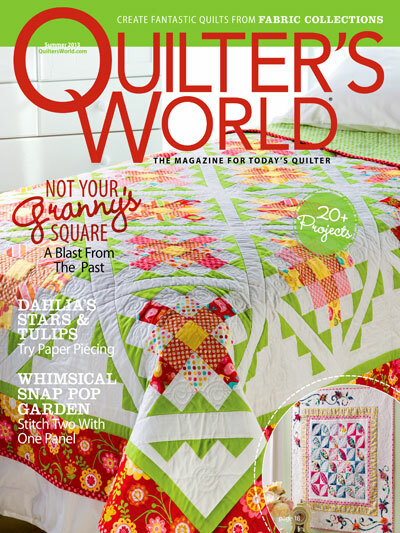 This quilt will be on tour with Alex Veronelli next year as he lectures at quilt shops on Aurifil threads. Be sure to find out if there’s a lecture near you. Alex’s lectures are fun, entertaining, VERY educational and definitely worth your time! I had been to one. 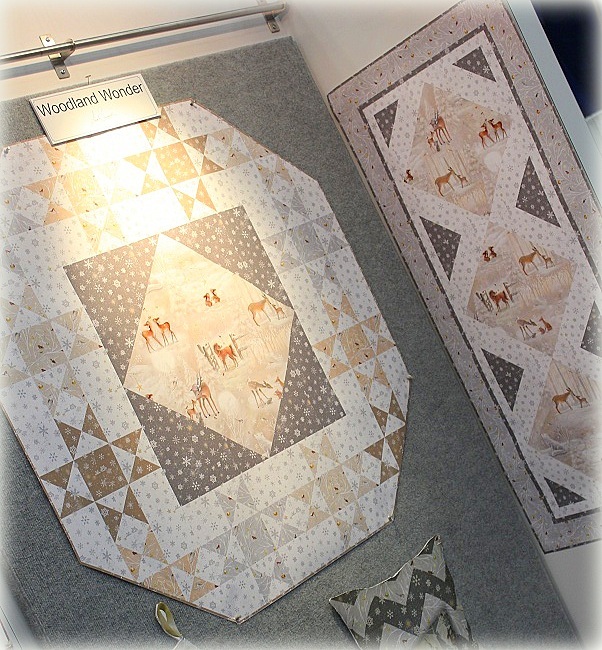 The sight of these quilts rounded off my year nicely, not because I am great in any way (I am well aware I am NOT! ), but rather I am humbled by the thought that someone else saw something in my designs, enough to share them with others. I feel immensely blessed. And through it all, may my God and Creator be glorified.